Lessons From a 1930s Farmer. Nonnie. That’s what I call her, though she’s known as mamma, Juanita, and Granny. She’s my Grandmother. My mother’s mother, and she’s now 90. Last year she sat me down and told me that family is precious and passes quickly. She began to give me documents, newspaper clippings, and hand written notes that she had made about her family over the last few years. Her wish, I think, was to be remembered and have us remember those who went before her. I agree. Family is precious. I now have a stack of papers and pictures that still need to be better organized….I’m working on that. 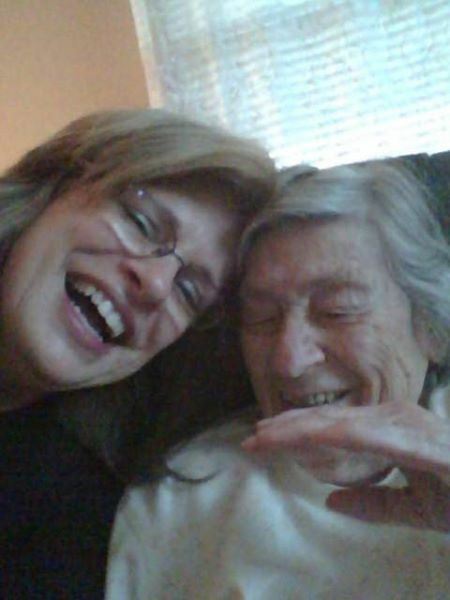 But this post is in honor of my grandmother, my Nonnie, and all that I think she can teach us; of times gone by, old ways of doing things, and a unique perspective on today. Last time I visited her (which is too far between), she started telling me about cook stoves, neighbors, and how things were done when she was younger and I couldn’t resist. I asked if I could ask her a series of questions about her life growing up. I did, and here are her responses. 1923, near Lawrenceburg in Anderson county, KY.
What were your early years like? The town had 2-3 stores. There was a bank, 2 churches, a school, doctor, and barber shop. My Aunt was a seamstress and sold hats. Daddy farmed all the years I was growing up, except for one. During the depression, daddy went to get a job in Louisville, but couldn’t find one. He went back to farming. He had built a large house – 3 rooms. It had 2 bedrooms and a large room that was our kitchen and dining room. We had a big screened in porch. We would eat out there in the summer. We had a yard that we took care of. At one point daddy got a push mower; the kind with blades that you had to sharpen. What kind of animals did you have? We had sheep, milk cows, and some beef cattle. Of course, we had chickens, hogs, and a duck. We sold the eggs, but we kept all the meat. We raised what we ate! How did that work? Did you can or ever have to buy from other sources? A market truck would come around and mama would buy sugar and flour from him. I’d give a duck egg to the market man and he’d give me candy. My mama would can anything she could get her hands on. We would can apples, beans, meat. To can the meat we would add grease to it, then let it cool so it would have a fat layer on the top to help seal it. We’d also dry the apples, beans, and meat. Everyone had smokehouses for pork. We would slaughter right before winter and hang it to dry. Bacon, shoulders, hams were salted or sugar cured. If it wasn’t canned, it was dried. Nothing was wasted. Once a year we’d go into Glensboro for bulk items we didn’t grow or make. We’d also take grain like corn and flour to the mill and get it milled. We usually came back with a 25-50lb sack. What kind of items did you have in your house? We had a sheet iron stove. It’s low and round for burning wood. We later got one with a jacket around it to protect us from burns. We also could burn coal. We also had a cook stove. We didn’t have a living room like people do today. No couches, TVs, Radios. We had a table and some chairs near the fire. At night we would sit in the chairs or on the floor and read and play games, but we went to bed early because we got up early. We used “coal oil” to in our lamps [kerosene]. Some people think we only had candles, but we had lamps. What did you have for water? We had a cistern and a well that daddy built when he built the house. We would use buckets to draw up the water. We used to keep butter and milk in a container that we would lower down right above the water to keep cool down there. How about Bathrooms and Washing up? An outhouse was built near the house. As a kid, you just trained yourself not to have to go in the middle of the night because you didn’t want to have to go outside, but of course we had bedpans too. To wash up, we would heat water on the stove (there was always a fire going or coals smoldering). Saturday was bath day, though we would wash up throughout the week of course. To wash clothes we had a tub and wash board. Mama got lye from the store and made soap from the pork fat, though I think my grandmother used ashes from the fire for the lye. Did you buy or make clothes? Mama made our clothes. We bought shoes, maybe a coat. But she had a sewing machine with a pump pedal. Everyone had one. You had to take care of your family! Do you remember what jobs paid? I remember that daddy got 50 cents a pound for his tobacco. The average work day was 12-14 hours and workers working on someone’s farm would get about $1 a day. Life wasn’t easy. But we did what needed to be done. When did you start to notice changes coming to the way people did things? Well, during WWII I remember when planes flew over the house, not even really low. David’s (her husband) sister was over and we went racing out the door to see the plane. That just wasn’t seen back then. Daddy bought the first radio in the late 1930s. It was battery operated, which was a big deal! We would sit and listen to cowboy programs. We moved to Salvisa when I was 16 and about that time electricity made it out to the countryside. We had the one wire come to our house and into our main living room. It draped to the center of the room and hung on a hook. The wire hung down and had a light bulb on the end. We started going to the picture show in town occasionally, which was fun. When we got our first car I remember driving to town and telling daddy to slow down because we were going to fast! We were probably doing around 20-30mph. When did you get married? I was 20 years old when we got married. It was January, 1944. We met at church. David didn’t live close, but his Aunt did and she came to our church. He would visit whenever he could and we’d see each other there. Money was tight, but he managed to come just about every other weekend. We moved to Richmond and rented an apartment, but by July he went into the army so I stayed with my parents until he got out. Winter of ’46 he came home and we rented a farm and house. That’s what people did back then when they couldn’t buy. We then went to another farm and milked cows. 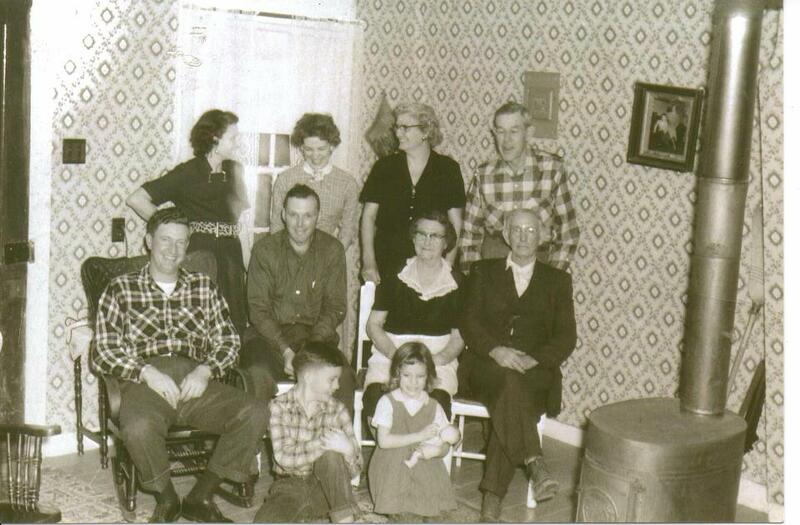 In 1952 we lived in an old house on a farm and were able to buy it right away. We soon were able to add 50 or more acres onto it so we had over 100 acres total. In 1971 we built a brick house [The house that I know] and farmed and milked cows. Is there anything you’d tell people about some of the changes? The good/bad? A lot of stuff is harmful depending on how it’s used. Radio programs used to be good, even TV. But now, all you see is negative shows. Kids would listen to or watch cowboy shows and then go play cowboys. What do they think is going to happen when these kids watch all these shows today? It’s not used right anymore and does more harm than good. I think we were happier in a lot of ways then. We didn’t have a lot of stuff, but we didn’t want more stuff. There was more to life that those things. Like I said, this is in honor of Juanita, my Nonnie. But I’d like to dedicated it to her kids: Gary and Linda. Passing on a memory. I just love your article. It reminds me so much of when my grandmother was alive. She used to tell me about how things were when she was younger and how much things had changed. She gave a lot of good advice about how to in take care of things that are still in use today in my own home. That’s so wonderful. I think we can get so busy and miss a lot of those good stories. Thanks for sharing this wonderful interview. I like her 2nd to last sentence best: We didn’t have a lot of stuff, but we didn’t want more stuff.” Oh, how awful it is that our present culture is driven by a desire to accumulate more stuff!! I’ve thought of that a lot. I think we spend so much time thinking about “things” rather than people and living life…. Love this! Thank you for sharing this lovely keepsake with us. I have a grandmother who’s story is very very like. She’s the dearest thing and I’m trying to catch those snippets of wisdom that she’s dropped along her way before they are lost. Nothin’ fancy but a whole lot of love and life experience. Great post. This is amazing. I do genealogy and I wish I could do interviews like this but they are all gone now. What a gift. Oh my goodness, I just love this so much. Thank you for sharing!! I found you through a blog hop I think…now I can’t remember, lol. Awww, I love this post so much. I love reading about lessons and family back then but especially about how older folk see changes like technology. Loved that photo with the pad. Too cute. Yes, I think my mom was letting her check it out. I’m guessing she really liked it..
A wonderful interview. Made me smile at the ways my life resembles my memories of my grandmother. She was very much a stranger to me but I remember the big house in the country, home made bread on the table at every meal, spoons were kept in a small glass cup on the open shelved galley type kitchen, the smell of the wood stove. And now that I live in a 200 year old house in the country with a galley style kitchen and a wood stove she comes to mind often. Especially when I make a squash pie. Someday I’m gonna get mine to taste like hers did. That was so touching…it was like I was talking to my own grandmother. Oh how I would have had a conversation like that with her while she was still alive. Thank you so much for sharing this! Loved your interview and her words! Lots to learn from these farmwives! This is great. Its nice to get some perspective and remember there were days that people didn’t buy homes until they had the cash. I just love this! It is wonderful to be able to learn from — and share — the wisdom and stories from our grandparents. I enjoyed this story so much. She’s such a lovely lady your Nonny. I’m so glad you got to talk to her. My daughter talked to my Mil and had so much stories from their farm back tan too and they seemed so happy with so Little. People are never happy now, they always seem to want more and more and nothing makes a beautiful home in most cases…kida go one way and parents another…really sad, very Little values now. Thanks for sharing. This is just lovely. 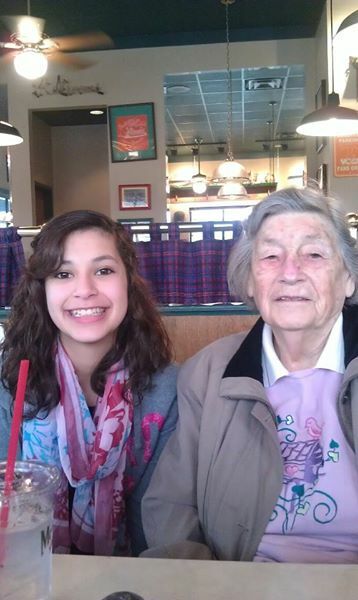 I lost my Grandma in early April of this year. She had a stroke around 5+ years ago and hadn’t been able to talk much since then. I wish I had thought up some questions to ask her like these. Thank you Steph. It’s great that you had such a similar experience. Thank you so much for sharing!!! Those memories are precious. 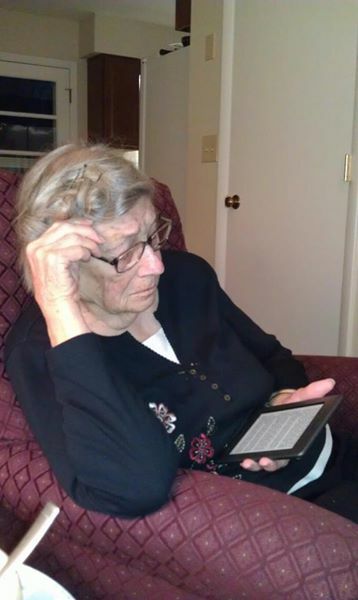 I just stumbled on your blog and read with great interest your grandmother’s interview. What a treasure! Ask her about recipes and vegetable gardening back in her day. I’m sure she has a lot of money saving tips. This is a great article! I lost all of my grandparents before I was old enough to sit down with them and ask them these types of questions. I did pick up bits and pieces of how life was for them growing up just from stories they would tell, but I’m always curious about history and how people lived. Thanks for sharing this!! Sweet post. I’m fortunate to still have my grandmother too. She’s 87. Sometimes when I catch myself doing something extremely frugal, I know that it’s my grandmother’s influence on me. Ohhhhh my goodness Kelly, that made me cry. Such an awesome post. I’m glad you found it. 🙂 Family memories are precious! It’s a small world! 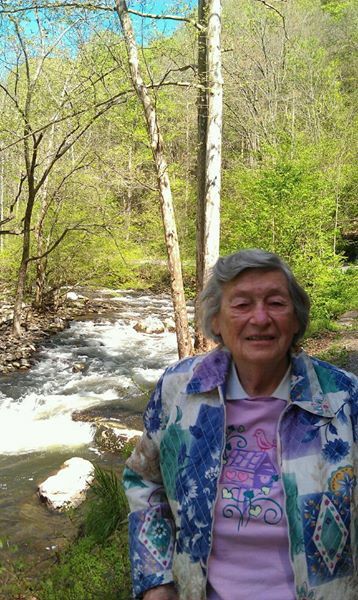 My grandmother lived in Anderson County, KY all her life. I have many happy memories of their home and farm, and have relatives who still live there. members about when they were young. They are gone now and I only have photos.